Tyler Cowen On America's 'Complacent Class': How Self-Segregation Is Leading To Stagnation Economist and author Tyler Cowen worries that Americans' desire to keep changing has gone away. "The forward march of progress," he says, "is not the main story today." Tyler Cowen argues, in his new book The Complacent Class, that Americans are in a period of stagnation because we are doing less and less of what made us successful in the past: embracing change, moving to different parts of the country and associating with different kinds of people. 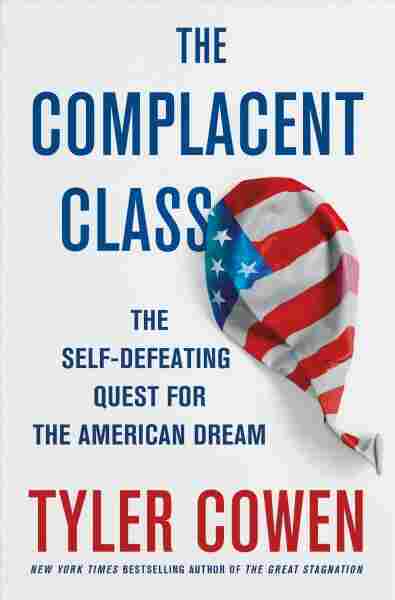 In a new book, The Complacent Class, economist Tyler Cowen argues that the United States is standing still. 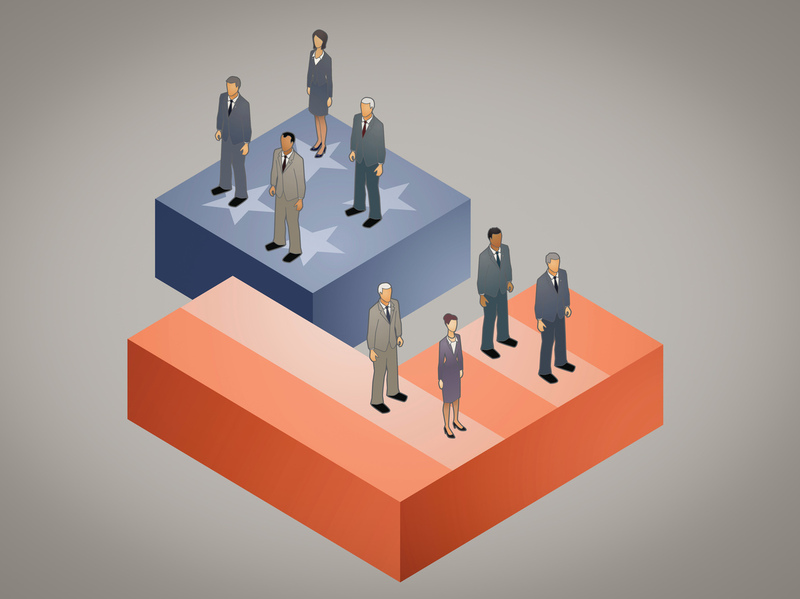 People have grown more risk averse and are reluctant to switch jobs or move to another state, he says, and the desire to innovate — to grow and change — has gone away. In an interview with NPR's Rachel Martin, Cowen says he's worried that more and more communities are self-segregating — by income, education or race. "We're making decisions that are rational and even pleasurable from an individual point of view, but when everyone in society behaves this way — to cement in their own security, their own mobility — social mobility as a whole goes down, inequality goes up, many measures of segregation go up," he says. "And ultimately a bill for this comes due." If you live in Arlington, Va., and if you move to Ann Arbor, Mich., or even Santa Monica, Calif., those places are more alike than ever before. But most importantly, segregation by income has gone up in virtually every part of this country. So wealthier people tend to live together more than before and so do poorer people. And this is bad for the country as a whole and we see a version of this in the last election where so many people are shocked by the candidate who actually won. [I]f you cease being challenged and you think your way of life is the only way, ultimately that way will become weak, it will be subject to less improvement, you will enter a kind of bubble and continually be surprised by the challenges the outside world keeps on throwing at you. But you're not very well-equipped intellectually to handle them. It is truly a shocking fact. Now you could argue the measurements are not perfect, that's true, but that even the numbers can come out that way. So many of the advances in our economy have come from women working more, working harder, getting more educated. That's great. But when it comes to males, something has very badly gone wrong. I think we have switched to a service-sector economy — most jobs are now service sector. That's bad for some percentage of men. Jobs require more and more that you be skilled in information technology. That's great for the top 1 percent, 10 percent, 15 percent. Not so great for the median or the bottom third for males. On why he writes in his book: "The biggest story of the last 15 years, both nationally and globally, is the growing likelihood that a cyclical model of history will hold rather than a model of ongoing progress." In the 1990s, pretty much everything seemed to be going in the right direction. More countries were democratic, more countries were becoming free. Lately we see China, Russia, Turkey moving back in a much more authoritarian direction, significant parts of the Middle East up in flames. The forward march of progress is not the main story today. The risk of an unraveling of the basic liberal globalized world order has been going up for some number of years now and only now do we see it with Brexit and the election of Trump. We need to take this risk very seriously. I think of the '80s and '90s as very calm, smooth optimistic decades. But when you think back to our broader history — the Civil War, the Great Depression, the Vietnam War, Richard Nixon trying to undermine the Constitution — those are all terrible, deeply unpleasant events, but we did get through them. And I think viewed in a longer-run perspective, this country will recapture its dynamism. I think innovations that have been restricted to the tech sector will move through most of our economy. At some point real wages will go up quite a bit more again. My hope is the current political mood is something we're getting out of our system rather than a permanent change. So ultimately I would bet on optimism, but I think those big bumps in the road, they're not distant. Right now we're just at them. NPR associate editor Reena Advani contributed to this report.